Auctions are a high-stakes environment where emotions can quickly cloud your better judgement. Gain the unfair advantage with a buyer’s agent bidding for you. 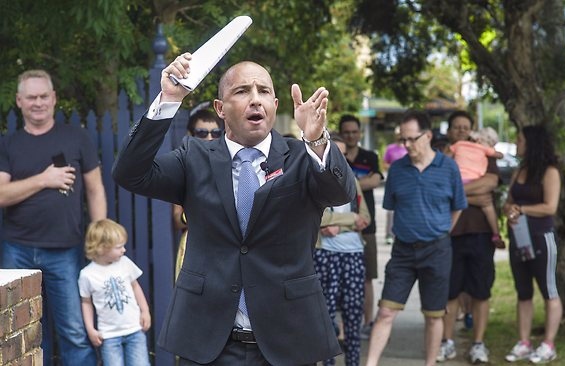 Buying at auction in Canberra doesn’t have to be stressful. With an experienced buyer’s agent on your side, you’ll be confident and fully prepared for auction day. As a buyer’s agent, I’m in the marketplace every single day. It’s an environment that most buyers only step into momentarily and lack the necessary depth of experience in. Over many years and hundreds of purchases across Canberra for clients, I’ve refined my own system to make your purchase a smooth, stress-free one. Having your auction handled by an experienced Buyer’s Agent leaves you free to resume your already-packed schedule with the peace of mind that your purchase is being professionally managed from beginning to end. The biggest mistake I see hopeful buyers make is trying to go it alone and figure it out as they go. Unfortunately it’s a case of you don’t know what you don’t know, and by the time that’s figured out it’s all too late - the deal has been done. Buyers are unaware of how the game is played in today’s market and end up paying thousands more than they needed to. Buying a home is a large financial decision and going it alone leaves you exposed and unnecessarily overwhelmed during a fast-paced auction setting. What is meant to be a happy moment in your life can quickly turn to disappointment and frustration (and a few tears in there, too), and that’s not what buying a home should feel like. Advice and guidance from the moment you appoint me, throughout the entire process. Using a buyer’s agent for your auction gives you the unfair advantage over your competition. It isn’t something just for buyers with a multi-million dollar budget; this service gives you a stress-free buying experience at a fixed price, saving you time, energy and money. Buying property should be fun, after all! “We were looking at buying a house for which we were not going to be present during the auction and needed to look at what options we had to try and use an agent whilst we were away. We had never known about buying agents beforehand and had no idea of the services they provided other than acting as a proxy for us at an auction. Once we had engaged Claire's services the biggest change for us was that we became a lot more confident that not only did we have someone to act for us whilst we were away but that we had the best chance at actually winning the property at auction. We became aware that there was so much more to the auction process than we first thought. Claire sort out and provided information not only on the property, but who the prospective buyers were, who the auctioneer would be and what was the impact of all these facts and how it would influence how she would proceed with the auction for us. Claire was absolutely amazing to work with. Her experience and expertise in this area is second to none. She taught us so much about the whole process even though we have bought and sold at auction before. She was extremely responsive to any questions we had and very proactive in gathering information for us. Despite our being away, Claire gave us the reassurance that we needed so the stress and emotion of the whole process was taken away which made the whole process for us so easy. Not only did she win the property for us but she saved us a lot of money in the process. Despite knowing our limits she worked very hard to make sure she got us the best deal rather than taking the easy option to just reach our limit and win. If you're interested in learning more, please get in touch to arrange an initial discussion and discover how a buyers agent can help you secure your ideal home. If you’ve not heard about buyer’s agents before, learn more about me and what role I play in your property purchase. Please note I do book out in advance, so please contact me to see if I'm available for your upcoming Canberra auction. Whether you’re in Canberra and happy to handle the property hunt, or would like someone to inspect and analyse properties for you to find the perfect fit, I’ve a range of services to suit your needs.